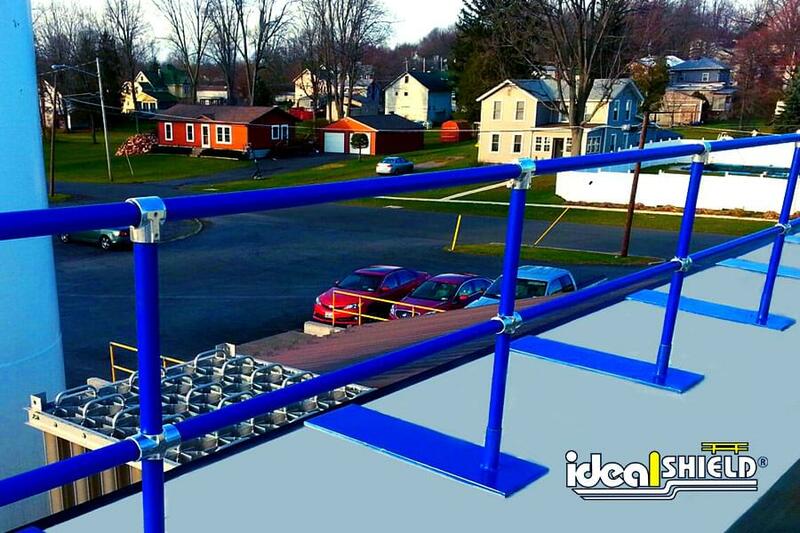 Our Roof Rail Fall Protection meet OSHA fall protection load requirement standards and is fabricated to protect workers and prevent accidents. 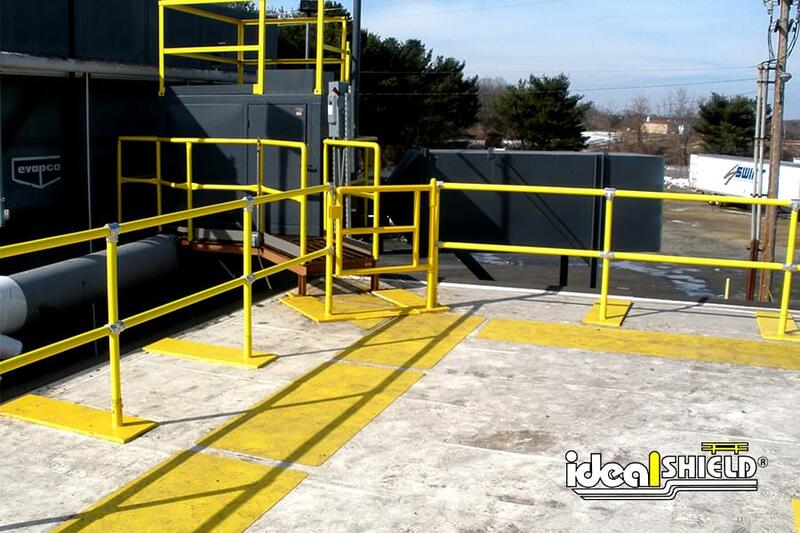 With no trip hazards and a bright appearance, this product is your solution to your roof-top safety concerns. 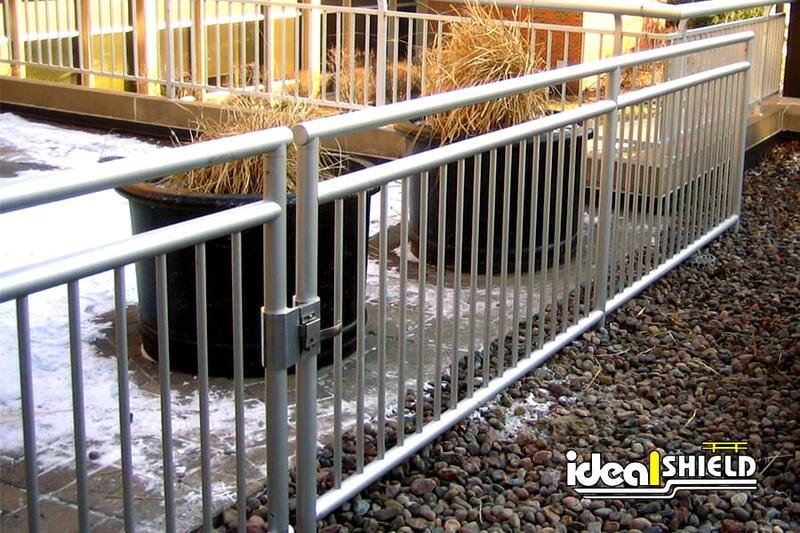 Available in Steel Pipe and Plastic Handrail, Aluminum Handrail, or Welded Steel Handrail, Ideal Shield’s roof rail is a modular system and is manufactured for easy installation. 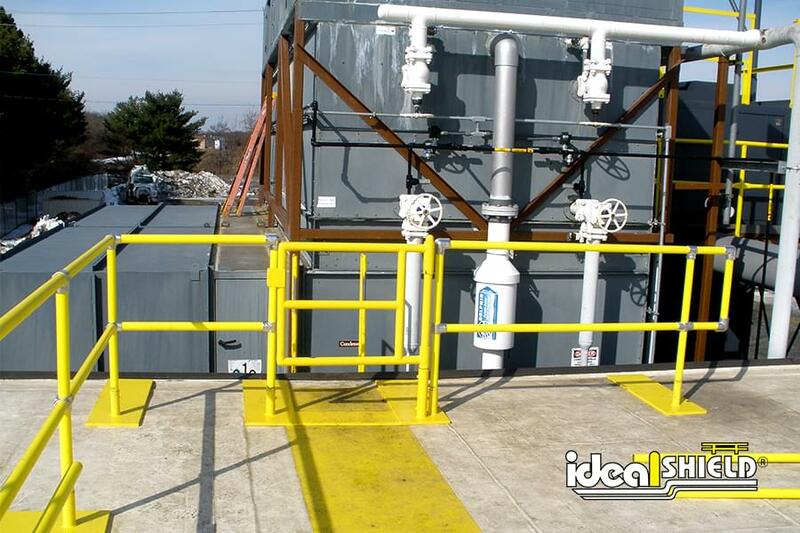 The product ships fully assembled with no welding required significantly reducing installation costs. Our roof rail is weather resistant and will not fade, chip, peel, or rust. 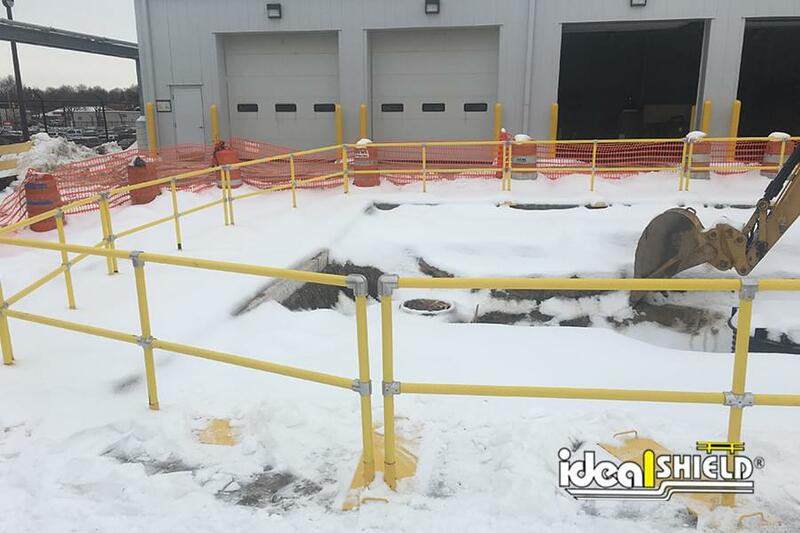 With over 30 years experience manufacturing facility guarding and protection products, Ideal Shield is your choice for safety and strength. 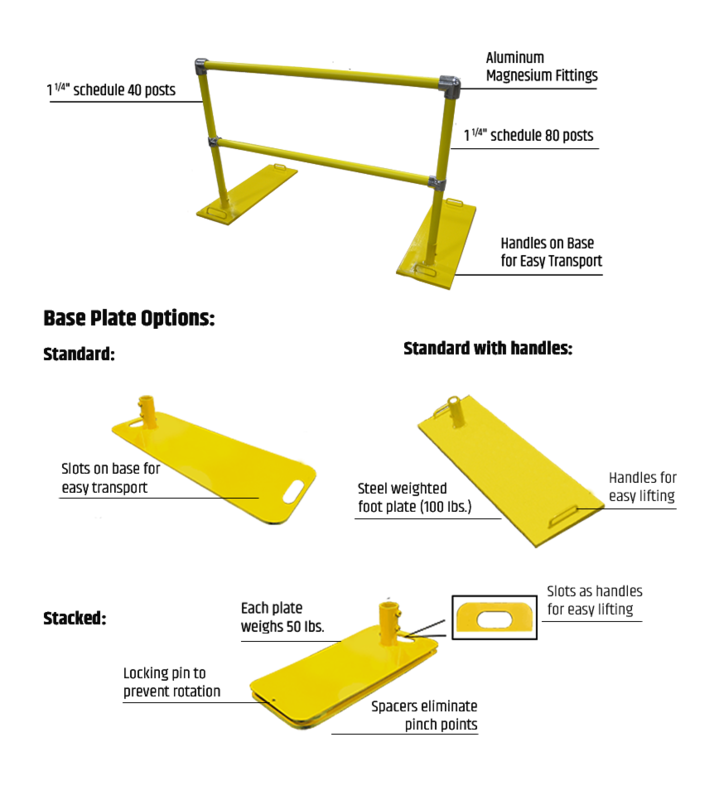 We also now offer custom gate options and two different base plate options! How do I install Ideal Shield roof rail? 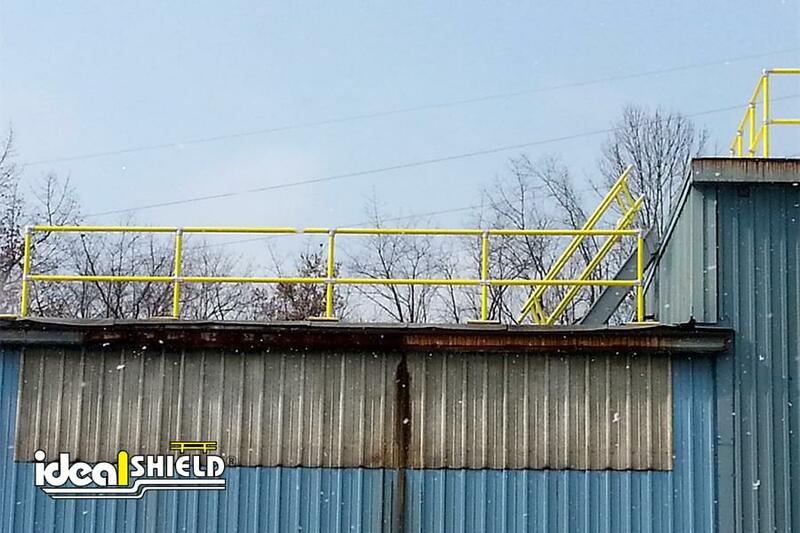 The Ideal Shield roof rail system is easy to install and configure. It ships partially assembled and no special tools are required for installation. Is the Ideal Shield roof rail system removable? Yes, Ideal Shield’s roof rail does not penetrate into the roof surface. Does the roof rail system require painting? 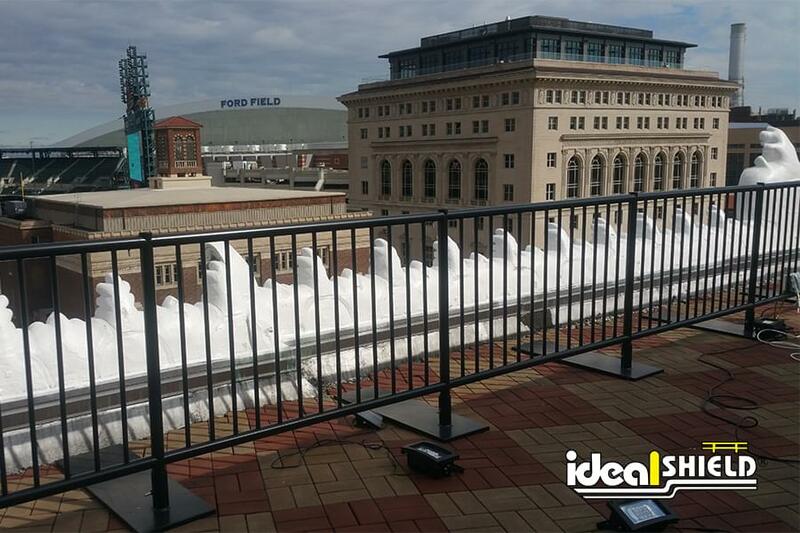 The Ideal Shield roof rail system is virtually maintenance-free. 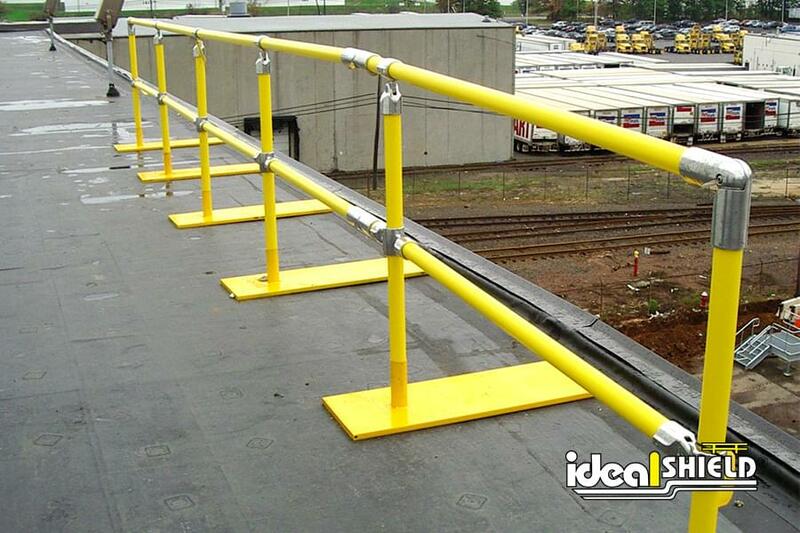 The steel and plastic combination creates a paint-free roof rail system. Is the roof rail system OSHA compliant? 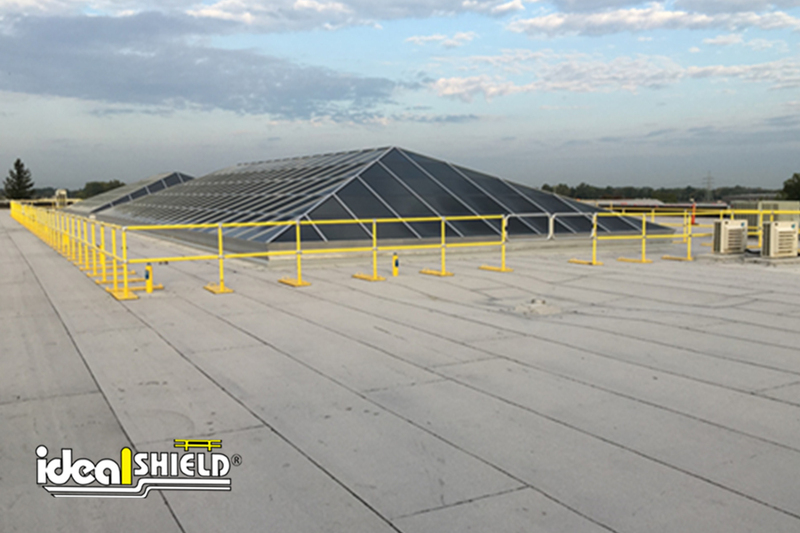 Yes, Ideal Shield’s roof rail system is OSHA compliant, fall protection must be supplied around skylight exposed with fall through potential, and fall protection must be supplied when any workers are working with 6′ of the edge of a roof. How is roof rail delivered? 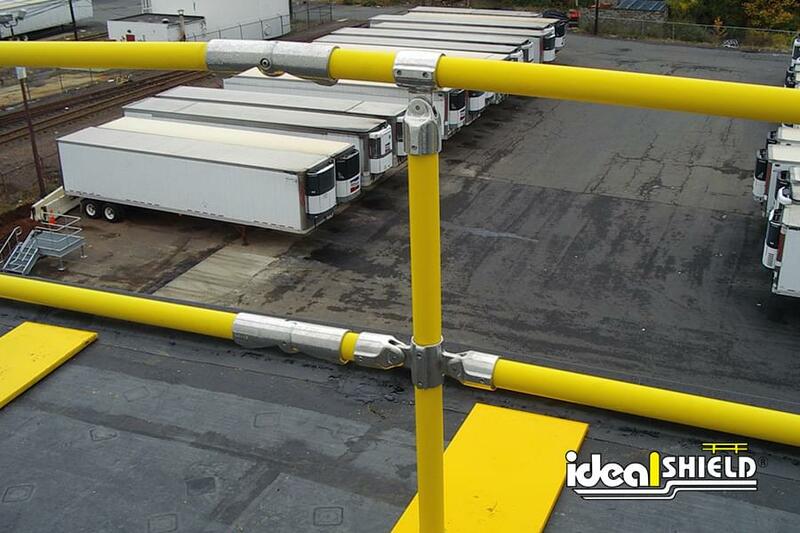 The Ideal Shield roof rail system is delivered to your site packaged and on pallets in modular units or separate components ready for easy installation.